Mu Sochua and women of the Kompong Cham Province in solidarity against domestic abuse. Mu Sochua with a grandmother who is the guardian of her grandchildren. The children were abandoned by their parents who sought employment in the city. This is a common trend. 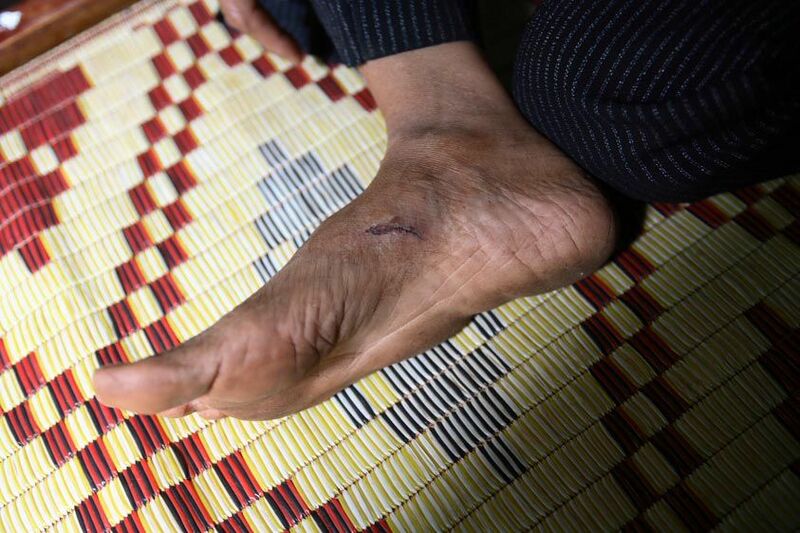 A woman's foot with a knife wound inflicted by her husband. 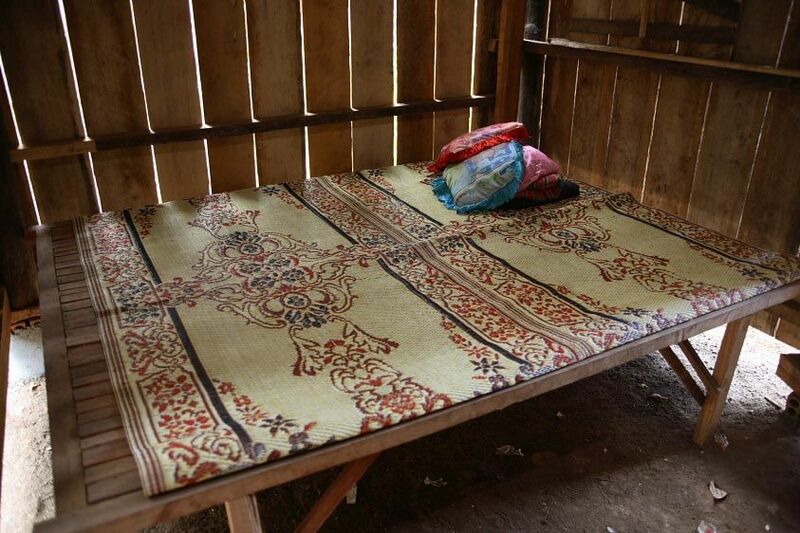 A rural Safe House offers a modest room with a bed for women and children seeking refuge from domestic abuse. Lerng Sokhean, age 35, seeks refuge in a Safe House. Her husband repeatedly slammed her into a doorframe. Two women seek refuge from domestic abuse the same day a rural Safe House opens. The t-shirt illustration for the Safe House Opening states that abuse is not acceptable. A visual depection is used because there is a high illiteracy rate. It shows a man threatening a woman and child with an axe. In Kompong Province, employment opportunities are few. Alchol consumption is rampant during idle time and is a primary component leading to domestic abuse. Women at a rural Safe House opening cheer as they hear of the services that will be provided against domestic abuse. A woman at an opening of a Safe House to protect women and children against domestic violence. Each Safe House community leader receives a first aid kit, a cell phone, and a bicycle as tools for the leadership role against domestic abuse. Children listen with their mothers about domestic rights. A community Safe House is recongizable by the protective fence surrounding its grounds. Parliament member Mu Sochua cuts the ribbon signifying a Safe House opening. A Safe House opens as a have against domestic abuse. The addition built on to the community leader's house is open to women and children in need of shelter. Women march in support of the first Safe House opening as refuge against domestic violence. Parliament member Mu Sochua marches with women in the Kompong Cham province in support of a Safe House opening to protect women and children from domestic violence.